Are you looking for a cozy house for your furry friend? One that will fit them just right and look great in the back yard? 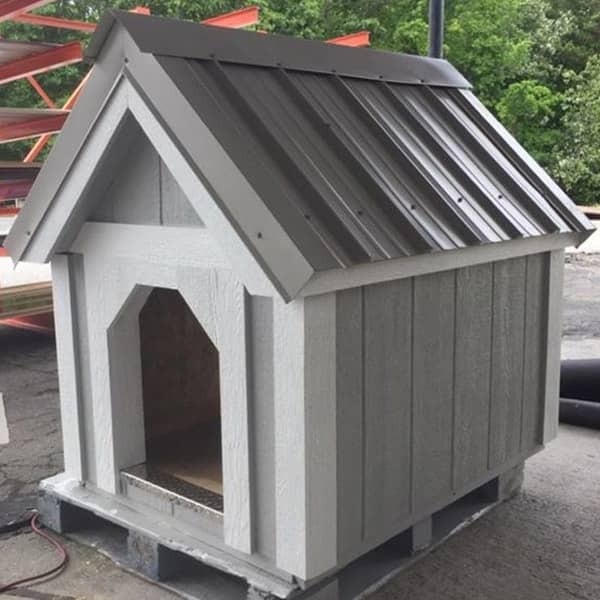 Yard Barns offers the perfect doghouse. 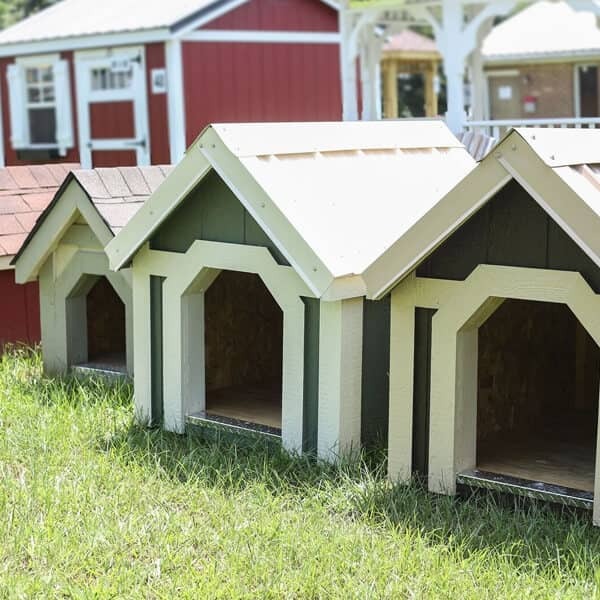 Our doghouses are hand built right here in Georgia! 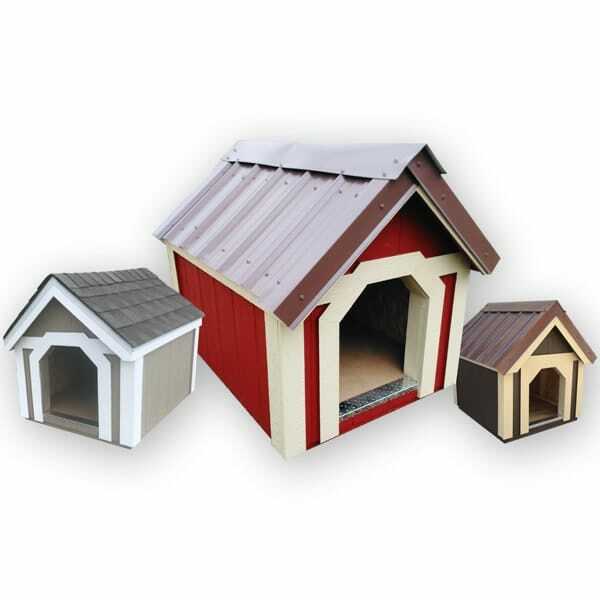 We offer three sizes to accommodate all breeds: 2×3, 3×3 and our most popular, the 3×4. All exterior wood is pressure treated and comes with your choice of paint colors. You have the choice of metal or shingle roofing, offered in many colors as well.